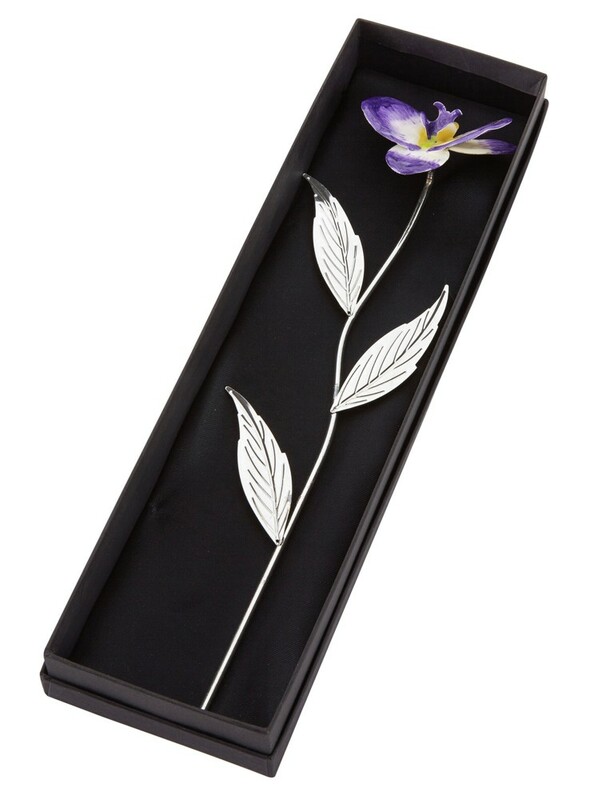 Personalised and Engraved Silver Plated Purple Orchid with Gift Box. To personalise this gift we engrave the gift tag that is attached to the stem of the orchid, these orchids make a truly unique gift. Complete with a Black Presentation box as shown. It measures 32cm in total.